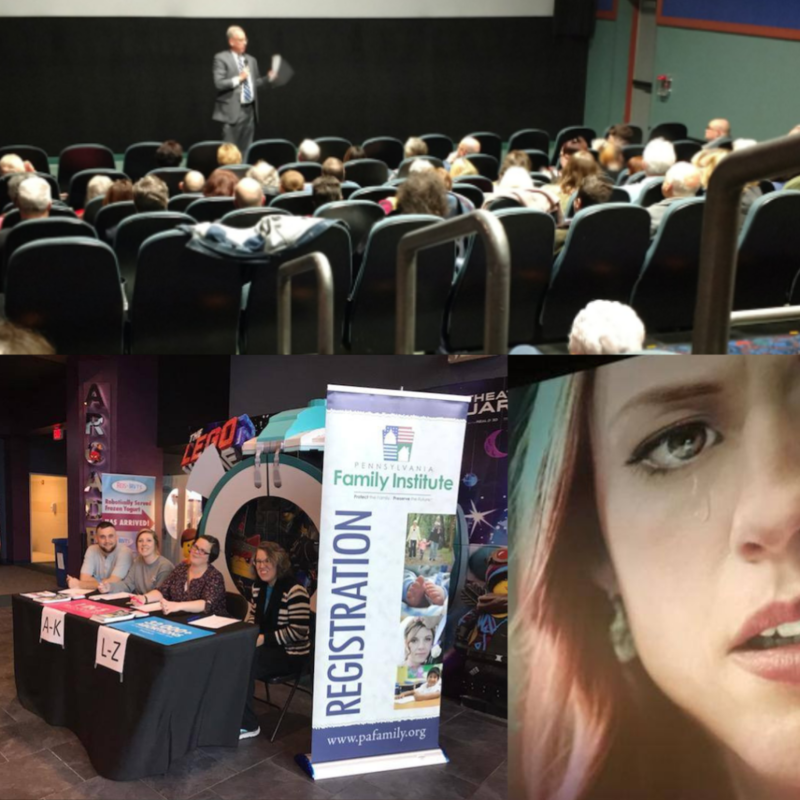 I joined a sold-out crowd in Harrisburg for Thursday’s premiere of Unplanned (hosted by Pennsylvania Family Institute) and I absolutely encourage you to see it in theaters. This movie offers a powerful window into Planned Parenthood – the largest abortion provider that covers one-third of the nation’s abortions (in Pennsylvania, it’s 50%). Wherever you fall on the abortion issue, this movie will forever impact your perspective. The first few minutes of the film immediately grab your attention. You see the monumental moment that changed Abby Johnson’s life forever. You see through an ultrasound monitor what happens to a baby aborted at 13 weeks. The brief black-and-white video depicting that child is chilling. Later, you see the main character go through what often takes place in a first-trimester abortion using the abortion drug RU-486. It’s raw and it’s emotional. I remember going to the movies to see The Passion of the Christ. I knew going in that it was going to be brutal to watch. But I consciously made myself watch and not turn away because it depicts what actually happened to Jesus as he was crucified. With Unplanned, I knew what I was going to watch but I made myself not turn away, not only because this is what actually happens but because so many people think it’s okay. The movie doesn’t focus screen time on the brutal gore of aborted babies. But it doesn’t shy away from its brutal reality. 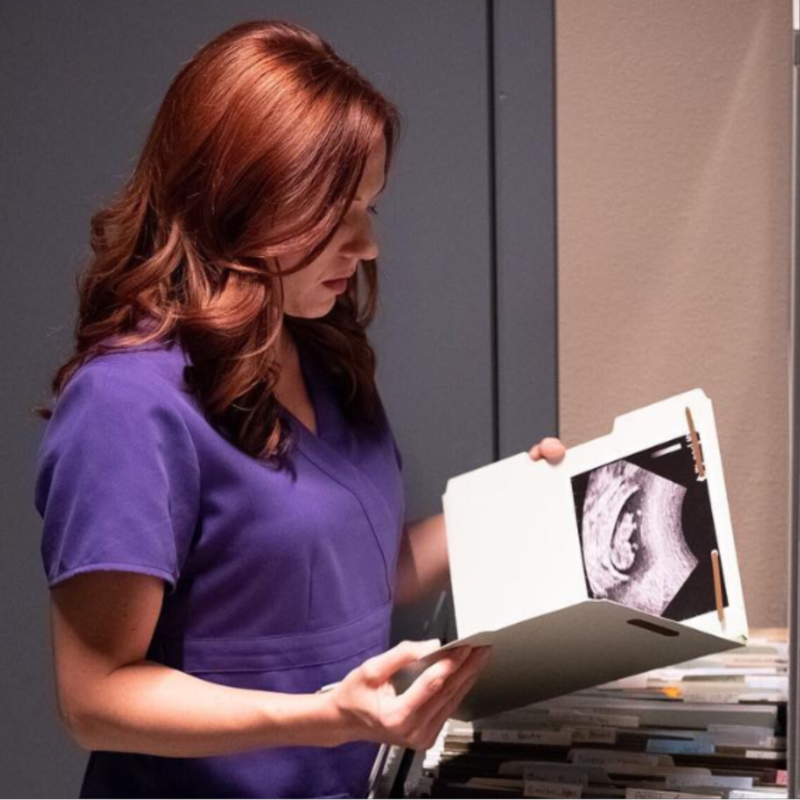 One scene is from a room labeled “products of conception” – or as they had one Planned Parenthood nurse put it, “pieces of children” – where Abby Johnson briefly examines an abortion baby and you see the baby’s arm and face. Another scene shows a teen dripping in blood in the recovery room where staff discover she has a perforated uterus. This movie helps to cut through the memes and slogans that abortion has become in social media. After you see it, you will have a better idea of what abortion really is when discussing the issue with others. Parts of the movie offers narration by the main character that helps give the audience an understanding for what is abortion. From Abby Johnson describing her own experience of having two abortions to the tactics used by Planned Parenthood employees, it provides us with a baseline for comprehending the issue. One analogy used to explain the tactics of Planned Parenthood is comparing abortion to fast food. Abby’s boss gets furious at her for not valuing abortion as a means to generate revenue and analogizes it to saying whereas fast food restaurants sell hamburgers to break even on profit, it’s the french fries and soda that are the low-cost, high-profit margin items. “Abortion is our fries and soda,” her boss concludes. Not to spoil the ending but, in 2013, the Planned Parenthood that Abby Johnson spent eight years as a volunteer-turned-executive-director before she left, closed its doors for good. The building now serves at the 40 Days for Life’s headquarters. What struck me is the timing because, since 2013, there have been twelve Planned Parenthood locations in Pennsylvania that have closed their doors. Why did these closings happen? Asking the question makes me think about the many hours people have devoted their time to as a witness outside of these abortion facilities. Many praying for these women entering the abortion facilities. The selfless act by many just to attempt to save another human being. It makes me think about groups like Focus on the Family and their Option Ultrasound program or Save the Storks and their mobile medical units that offer free ultrasounds outside of Planned Parenthood. The turning point for Abby Johnson was seeing an ultrasound. Women being able to see their baby through an ultrasound has become a huge turning point in the effort to save lives. If you are a volunteer, donor or employee of a pregnancy care center – thank you. To those standing, praying and graciously interacting with women outside of the Philadelphia Women’s Center or Pittsburgh Allegheny Reproductive Center or the ten Planned Parenthood surgical abortion sites in Pennsylvania – thank you. There are already media outlets trying their best to slam the movie, saying it “isn’t going to change anyone’s mind about the pro-life/pro-choice debate” (Detroit Press). Abby Johnson’s story has already helped get 500 women to leave the abortion industry. I have a feeling this film is going to change a few minds. Altoona, Bensalem, Camp Hill, Center Valley, Duncansville, Easton, Erie, Greensburg, Hanover, Harrisburg, Lancaster, Lebanon, Lititz, Meadville, Moosic, Newtown Square, Oaks, Pennsdale, Philadelphia, Reading, Robinson Township, Selinsgrove, State College, Tarentum, Warrington, West Homestead, York – there are at least 27 theaters across Pennsylvania showing Unplanned!